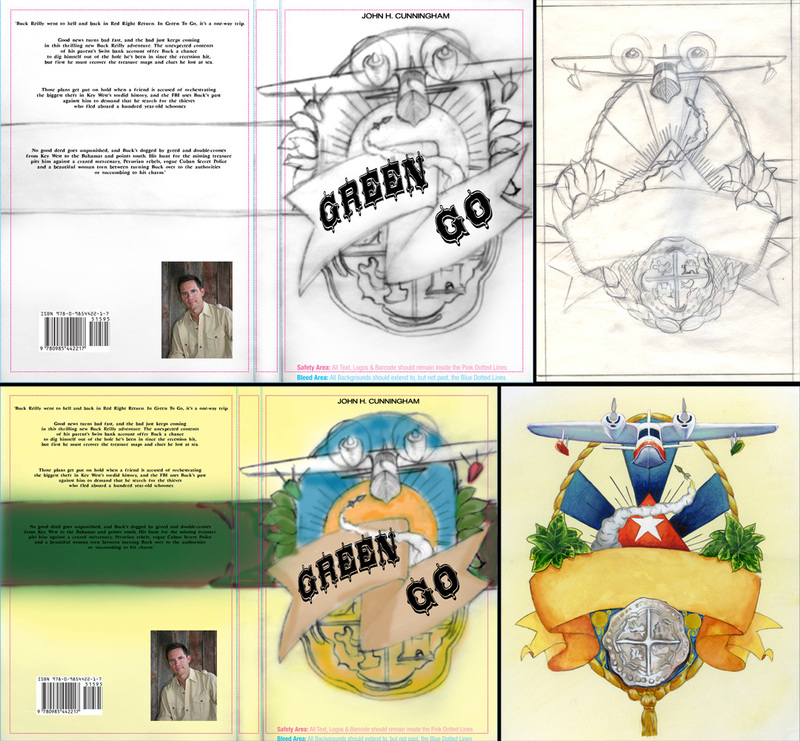 I love to read, so I consider creating a book cover a distinct privilege. I sometimes fantasize about creating a cover for every book I have ever read and imagine what kind of life long project that would look like. Maybe in another lifetime. Not long ago I got involved with an online manuscript editing company called The Editorial Department. They were expanding their repetoire and looking to offer design services as well as manuscript editing. After a bit of back and forth I signed on as one the the designers in their roster. The first project I worked on for them was the second book in a series of swashbuckling adventures from author John H. Cunningham. 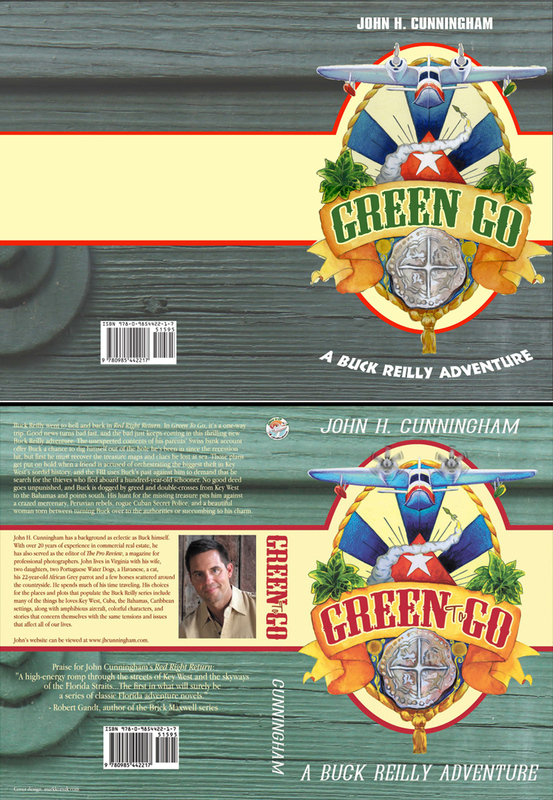 John’s stories feature a main character named Buck Reilly. Buck is a bit of an Indiana Jones type who lives in the Florida Keys, flies a Grummon sea plane and looks for sunken treasure. 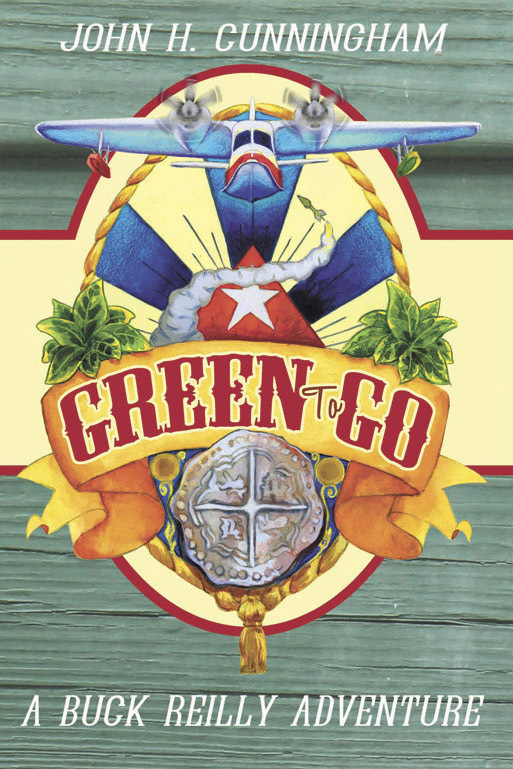 The title of this new book was “Green to Go” and John wanted some continuity between this cover and the previous one. 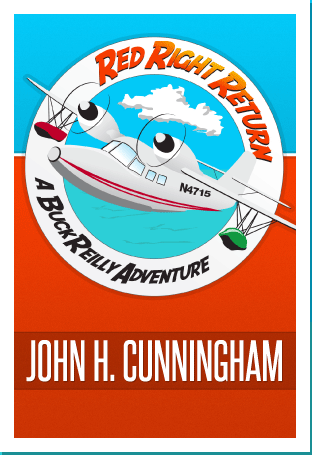 The first book, “Red Right Return” features Buck’s seaplane in a a circular logo design. John felt strongly about keeping the plane and the logo look. He also wanted to incorporate the idea of color since both book titles make mention of one. This is all well and good, but for me to get hold of an idea I need to explore what comes to my own mind first. To that end I do loads of thumbnails. Each one an embodiment of a particular concept. Sometimes these concepts are good. Sometimes bad. Sometimes they are rip offs of something I have seen before. The intention is to spill out on to a page all the junk that is spinning around my head regarding the subject. Below are a few pages from my sketchbook that show some of this exploration process. From here I took four or five of these ideas, blew up the the thumbnail and added color to them just to get an idea of what they might look like. The ones that stuck out the most for me were those that were modeled from cigar or rum labels. For all intents and purposes a label is a logo and if I stuck with that concept it would afford the continuity John was after. As an added benefit it would also speak to the more colorful aspects of the lead characters swashbuckling personality. With the help of Chris Fisher, the Creative Director at The Editorial Department, I moved though the design, adding the coin, missile, tobacco and Cuban flag to the layout. The final touch was selecting a sun bleached weather beaten green background for the label to sit on. And with a few more tweeks and changes we arrived at the final cover. Finally, I would like to give thanks to illustrator Tristan Elwell. At the same time he happened to be working on an image of a plane and talked about how he made the propellers look like they were spinning. I used his technique in the final cover.